Live video and treat giving with shelter dogs to increase sociability and raise chances for adoption. 3 million dogs enter shelters nationwide each year. However, less than half are adopted into new homes. Some shelter dogs may receive human interaction 3 times a day for walks, but are then left by themselves. Talking and interacting with shelter dogs improves their wellbeing and makes them more adoptable. 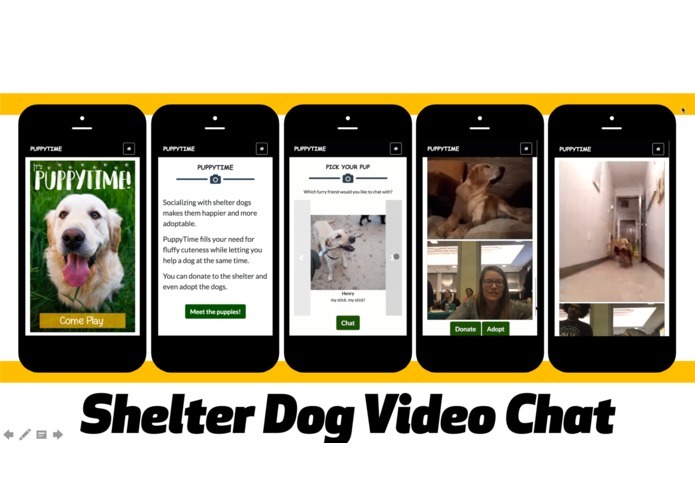 We wanted to provide a new way to benefit shelter dogs and bring joy to the humans that chat with them. PuppyTime is a mobile website that enables folks to live video chat with shelter dogs and give them treats. 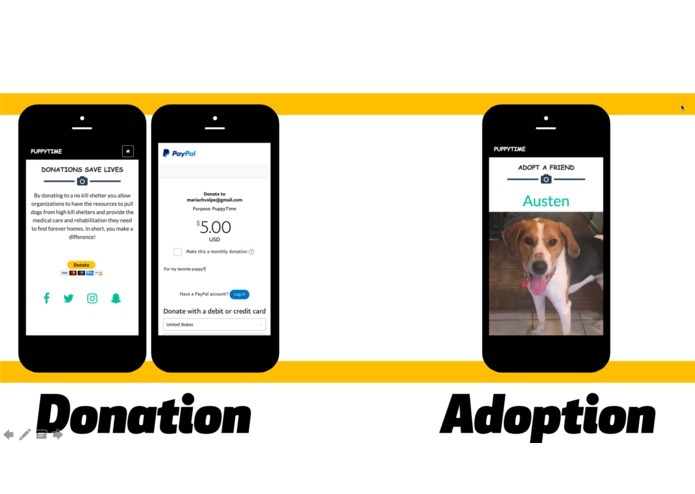 This gives the dog more social time and builds a personal connection between the user and the dog to increase donations and adoption. PuppyTime is running on Amazon Web Services - Route 53, CloudWatch, and S3. Incorporate Amazon Marketplace to send donations like dog food, treats, toys, etc. I setup the Github repo, coded the chat feature, worked on page styling, coordinated product testing with actual shelter pets, and assisted where needed with my teammates. I helped structure our team's ideation session and pair programmed on page styling. 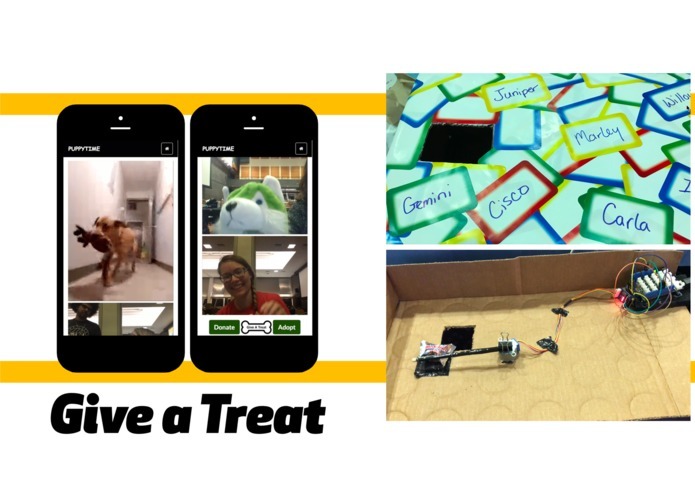 I pitched the idea, brainstormed with my teammates, created the graphic design and videos, setup the UI, setup the AWS components, and setup and programmed the Arduino 101 automatic treat dispensing. I helped with documentation, did some pair programming with my teammates, brainstormed ideas, and gathered materials.